Bathurst mayor Graeme Hanger has declared the creation of a second circuit at Mount Panorama a certainty following a $10 million funding grant from the Federal Government. Calare MP Andrew Gee and Regional Development Minister and Nationals Deputy Leader Fiona Nash visited Bathurst today to confirm the Building Better Regions grant. Plans to build a new 4.5km circuit and business park, dubbed Velocity Park, alongside the legendary 6.2km course have been in train for some time. A preliminary layout has already been created, with a tender process currently underway for the final design and construction contract. Alongside $15 million from the NSW Government and $10 million from the Bathurst Regional Council, a total of $35 million of the $52 million total target has been raised. While there remains a shortfall, Cr Hanger is now in no doubt that the project will go ahead. “What it shows is that the Federal Government and the State Government really believes in Bathurst Regional Council,” he said. “We’re serious about this happening. It really will happen. The $10 million today goes with money from the state government and local government. Cr Hanger admits, however, that the tender and state planning authority processes mean “we’re a couple of years away” from construction commencing. Supercars CEO James Warburton expressed his support for the project earlier this year, declaring interest in holding a SuperSprint round on the new layout once it’s completed. The existing 6.2km circuit that hosts the Supercheap Auto Bathurst 1000 will remain untouched by the works, situated to the west of McPhillamy Park. “The Bathurst Regional Council is a fantastic partner of ours and the plans for the second circuit are absolutely world class,” Warburton told Supercars.com. 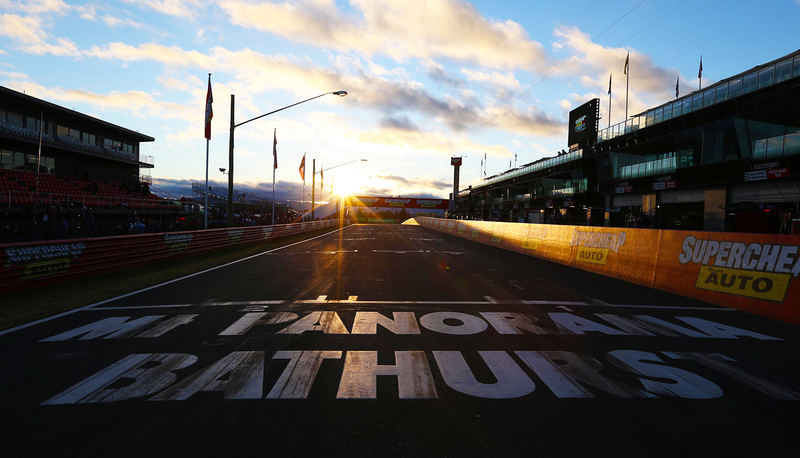 “We would absolutely consider running a SuperSprint round at Bathurst once it’s completed. “The way the second circuit is being planned, a sprint event on that layout would have a completely different DNA to the Supercheap Auto Bathurst 1000 in October.